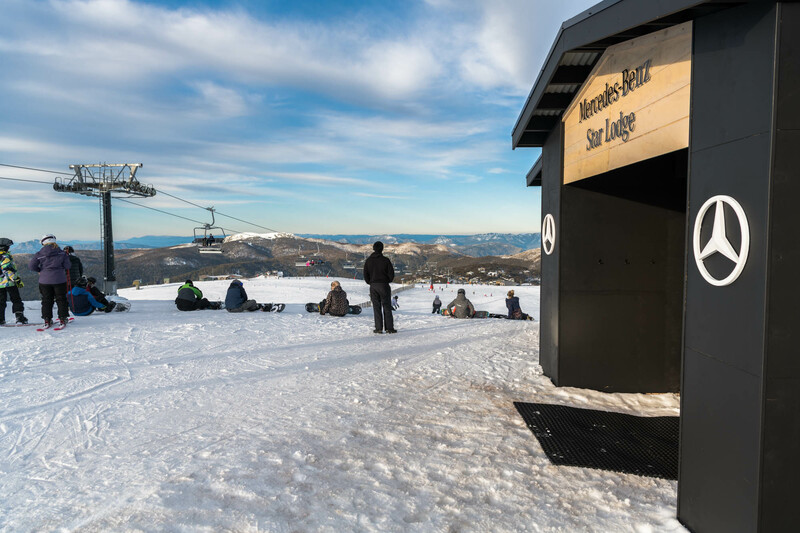 Part of the partnership between Mercedes-Benz and Mt Buller, the Star Lodge sits just a few steps from the top of the Mercedes-Benz Chairlift and is fitted with all the creature comforts a skier or boarder might hope for. It will welcome all skiers and boarders, who can rest in comfortable chairs, connect to Wi-Fi and charge their phones, warm their hands using air vents as seen in Mercedes-Benz vehicles, and enjoy ambient lighting that changes to suit the time of day, reminiscent of the Energizing Comfort Control feature found in the Mercedes-Benz S-Class range and even fill their water bottles. Visitors can also take a seat on benches equipped with blankets to fully appreciate the jaw-dropping panorama, or snap a selfie to capture the moment. 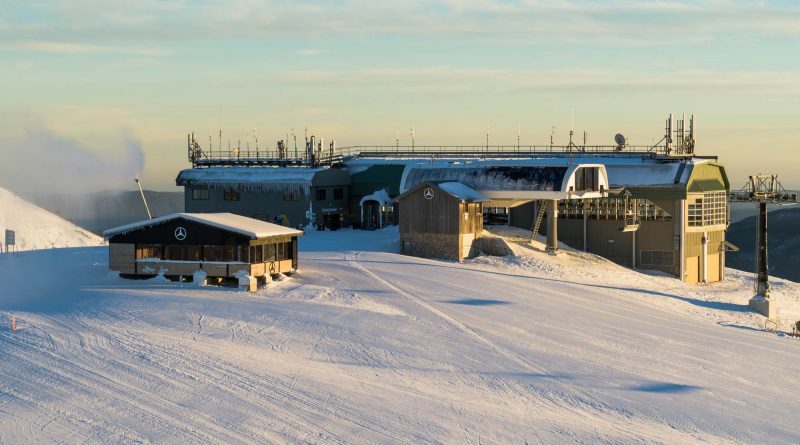 The Mercedes-Benz Star Lodge was constructed with three shipping containers placed in position by crane and lashed to twelve 1.25-tonne concrete blocks. The structure is built to resist cyclone-strength wind gusts, providing visitors with shelter from the changing elements as well as welcome warmth and comfort. 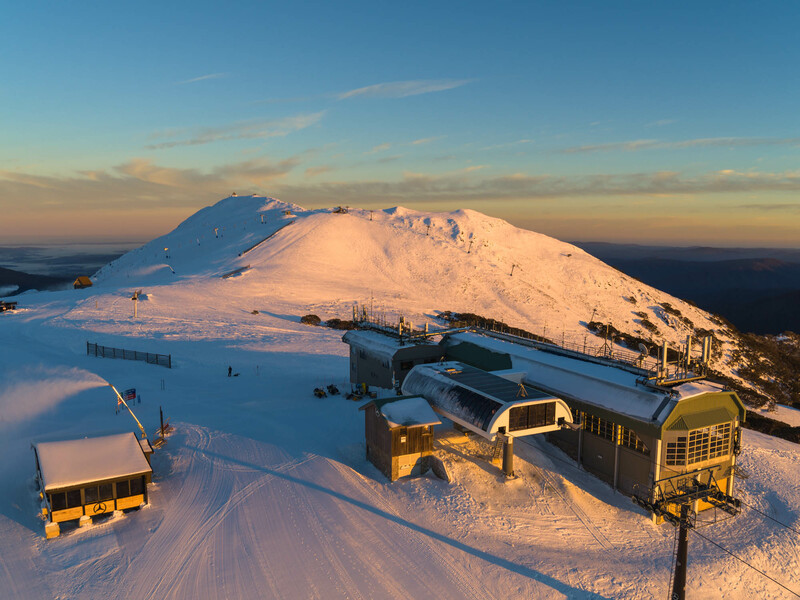 In addition to the Star Lodge, Mercedes-Benz has also supplied the Mt Buller with a fleet of its capable SUVs, each specially fitted with snow tyres for operational use around the resort this season. Mercedes-Benz Australia-Pacific Managing Director and CEO Horst von Sanden said skiing and snowboarding is a favourite pastime for many Mercedes-Benz owners and prospective customers. “With the Star Lodge we give not just our customers, but every visitor a subtle taste of the Mercedes-Benz lifestyle with an invitation to enjoy our warm hospitality,” he said. 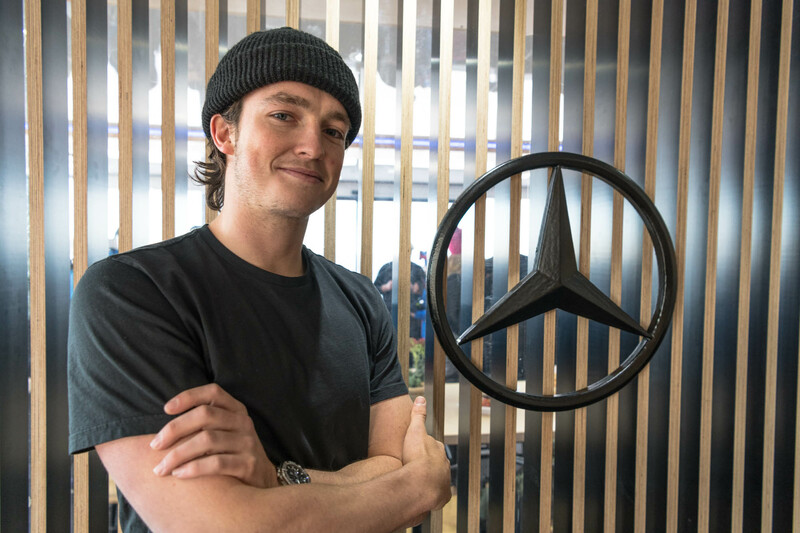 “We created an innovative and interactive way for Mercedes-Benz to be at the heart of the action, right next to one of Australia’s busiest ski runs. “Various models from our SUV range including the GLE and seven-seat GLS are the perfect transportation to Mount Buller with a suitably luxurious journey for guests, and the capability to tackle snowy roads. Pop into the Mercedes-Benz Star Lodge this weekend and see it for yourself! ← Could this be the next big dump?